For decades, the Italian sound artist and composer David Monacchi has made recordings of biodiverse regions as part of his Fragments of Extinction project, with the dual purpose of saving these unique soundscapes and creating his own compositions. 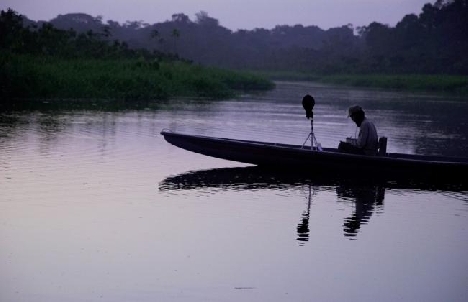 In Dusk Chorus, his high-tech fieldwork in the equatorial rainforests of the Amazon is documented by filmmakers Saravanja and DEmilia. A tree emits a new sound due to drought; a bird call that fits a certain sound spectrum is no longer picked upnature out of balance can be heard as well as seen.